Prior to receiving the NSF Graduate Research Fellowship, Nicholas Ames, a Ph.D. candidate in the department of anthropology, had the opportunity to present this preliminary analysis at the national archaeological conference put on by the Society for Historical Archaeology (SHA) in Washington, D.C. thanks to a Graduate Professional Development Grant from the Nanovic Institute for European Studies in 2015-2016. A report on his experience and conference presentation can be found here. The National Science Foundation (NSF) recently announced the winners of the 2017 Graduate Research Fellowship Program (GRFP), with 15 current Notre Dame students, affiliates and alumni winning the prestigious award and another 18 earning honorable mention. Overall, 33 students were recognized by the NSF. 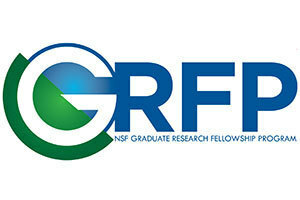 The NSF GRFP recognizes and supports outstanding graduate and graduating undergraduate students in NSF-supported science, technology, engineering and mathematics, and social science disciplines who are pursuing research-based degrees. GRFP provides three years of financial support within a five-year fellowship period ($34,000 annual stipend and $12,000 cost-of-education allowance to the graduate institution), as well as opportunities for international research and professional development. Students create a personal statement and research plan for the fellowship program in conjunction with their advisers and the fellowship advising team at the Office of Grants and Fellowships in the Graduate School and the Flatley Center for Undergraduate Scholarly Engagement (CUSE). The number of awards won by Notre Dame students corresponds to continuing efforts by the Graduate School’s Office of Grants and Fellowships and CUSE to provide one-on-one consultations and group support throughout the competitive application processes and help students pursue major national and international opportunities. The Graduate School’s summer grant writing program, fall workshop series and an intensive fellowship “boot camp” during the fall break were highly successful, and CUSE held information sessions and offered one-on-one application advising upon request. In addition, the Summer Research Opportunities Program hosted by the Graduate School offers research training, mentorship and intensive preparation for graduate school to select summer students. Graduate students interested in applying for external awards should contact the Office of Grants and Fellowships (gradgrants@nd.edu). Interested undergraduate students should visit the NSF GRFP page on the Flatley Center for Undergraduate Scholarly Engagement website. Nicholas Ames, Arroyo Grande, California; anthropology, Ph.D. expected 2020. Bradley Bowles, Brownsburg, Indiana; biology, class of 2017. Julia Butterfield, Carmichael, California; mechanical engineering, class of 2017. Salvatore Curasi, North Bellmore, New York; biology, Ph.D. expected 2020. Paulina Eberts, Columbus, Ohio; chemical engineering, class of 2017. James “Jayme” Hentig, Rockford, Michigan; biology, Ph.D. expected 2021. Michael Hunckler, South Bend, Indiana; biomechanical engineering, B.S./M.S. class of 2016. Sreeraahul Kancherla, Waxhaw, North Carolina; mathematics and economics, class of 2017. Jordan Lewis, Rock Hill, South Carolina; biology and environmental science, SROP 2016. Brandy Sky Martinez, Miami, Florida; clinical psychology, Ph.D. expected 2021. William McCormack, Los Angeles, California; physics, class of 2015. Sasha Padilla, Brooklyn, New York; biochemistry, Ph.D. expected 2021. Colleen Riordan, New York, New York; biochemistry, class of 2016. Claire Scott-Bacon, Miami, Florida; psychology, SROP 2016. Zoe Volenec, Ormond Beach, Florida; environmental science and economics, class of 2016. Paige Ambord, Claremont, California; sociology, Ph.D. expected 2020. Clayton Becker, Evansville, Indiana; biology, class of 2017. Brooke Chambers (Weaver), Fort Wayne, Indiana; biology, Ph.D. expected 2020. Joe Chambers, Fort Wayne, Indiana; biology, Ph.D. expected 2020. Sophia Chau, Tigard, Oregon; environmental sciences, class of 2017. Mauna Dasari, Fairfield, California; biology, Ph.D. expected 2020. Paul Friesen, Grand Rapids, Michigan; political science, Ph.D. expected 2021. Samuel Leung, Granger, Indiana; chemical engineering, class of 2015. Luke Pardue, King of Prussia, Pennsylvania; economics, class of 2014. Samantha Piekos, Naperville, Illinois; biology, class of 2015. Andrew Piper, Chicago, Illinois; physics, class of 2015. Vincenzo Pizzuti, Follansbee, West Virginia; chemical engineering, class of 2016. Alexa Rakoski, Camas, Washington; physics, class of 2015. William Raseman, Barrington, Illinois; civil and environmental engineering, class of 2014. Kelsey M. Reese, Santa Fe, New Mexico; anthropology, Ph.D. expected 2021. Katherine Shih, Mountain View, California; mechanical engineering and mathematics, class of 2017. Brooke Stemple, Charlotte, North Carolina; environmental engineering, Ph.D. expected 2021. Boyoung Yoo, Chappaqua, New York; computer science and engineering, class of 2015. Originally published by Samantha Lee at news.nd.edu on April 13, 2017.